More than 45 million years ago, the area we know as the Arctic was saturated in carbon dioxide (roughly 1,200 parts per million). Scientists studying that time period agree that the region was dominated by lush deciduous forests and animals that require tropical environments—crocodiles, turtles—thrived in waters that now sustain polar bears. 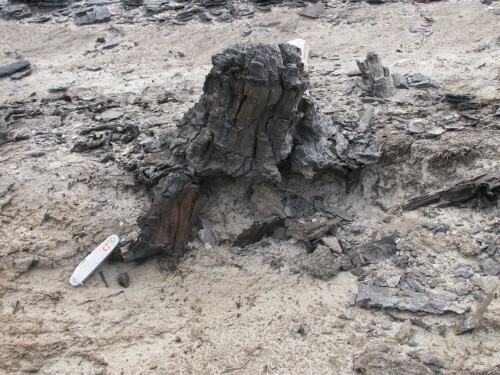 Now scientists have found evidence that coniferous forests also grew in the region, and the fossils of those trees are providing important clues to the Arctic’s rainfall, climate, and general environment during the Eocene era, says Brian Schubert, a faculty researcher of geology at the University of Hawaii. Schubert works closely with Dr. Hope Jahren, also of the University of Hawaii, researching the forests of the Eocene. Their collaborators include Jaelyn Eberle (University of Colorado) and Leonel Sternberg (University of Miami). “Seeing evidence for evergreen forests means we can determine seasonal precipitation with more specificity than we could by sampling deciduous trees,” says Schubert. Evidence for evergreen trees comes from high-resolution carbon isotope measurements across fossil tree rings, which differ greatly between deciduous and evergreen species. The within-ring isotopic pattern measured in deciduous trees reflects a switchover from stored carbon at the beginning of the growing season (carbon used to start leaf production) to actively photosynthesized carbon, once the leaf canopy is mature. Because evergreen trees keep their leaves year-round, their uptake of carbon is related to climate, rather than a change in their carbon pool. In short, the evergreen forests provide a comprehensive record of climate change, and Schubert and his team are analyzing samples at a micron level to get the most thorough view yet of the Eocene climate. 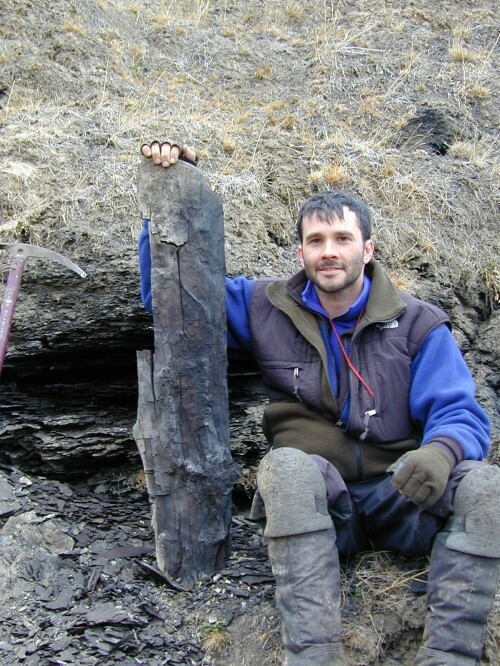 Specifically, the team slices mummified wood with a razor blade into tiny pieces (between 30-100 microns thick). Within a single tree ring, they make dozens of isotopic measurements. This distinctive pattern helps develop for the team a picture of the climate during the Eocene. And their results have challenged the conventional wisdom of the Arctic climate during the Eocene. Whereas previously climate was believed to resemble the Pacific Northwest—dry summers and wet winters—Schubert and his colleagues believe they have evidence which points to wet summers and dry winters. Essentially, their research suggests that some 50 million years ago, the Arctic resembled East Asia. This raises all sorts of interesting questions for scientists. How did so much moisture get to such high latitudes during the summer? What purpose did the evergreen forests serve? (Scientists hypothesize they provided a food source for non-migratory mammals). How did the climate change over the course of the Eocene, an approximately 20 million-year period? For two years, the researchers have sampled forests in the eastern High Arctic (Axel Heiberg and Ellesmere Island, Canada) and the western High Arctic (Banks Island, Canada). This summer a field crew will sample forests near Anchorage, AK. 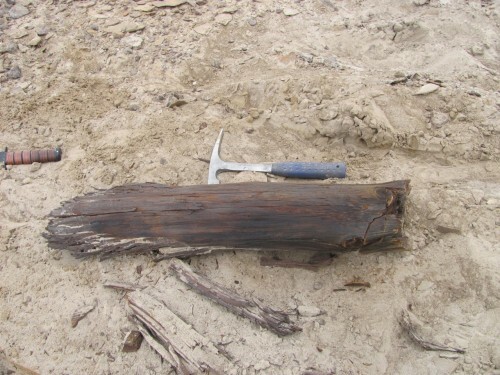 The team will collect and excavate fossils, catalog their samples, then send them to the lab for preservation. After that is completed, they will begin their analysis. Ultimately, they hope to develop a more comprehensive understanding of how the Arctic has changed due to rising and falling carbon dioxide levels, says Schubert.